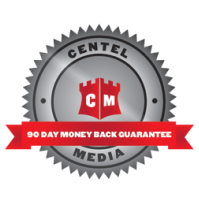 Centel Media™ understands just how difficult it can be to run a business while trying to manage online reputation. Who has time to suppress negative content and create positive content while trying to push a brand? That’s why Centel Media™ is here. It takes quite a bit of doing to take on such a large task. Allow our professionals to take some stress off of you and take care of the situation in firm but organized manner. When you decide to take part in our online reputation management system, we take care of the reviews that could be hindering you, and let you focus on moving your business forward. We will help you repair your reputation, manage and maintain it, and give you complete control over your search results. Former employees who are looking for revenge. Negative or biased news stories. Any public documents you don’t want to be seen. Competitors who will do anything to take you down. Negative reviews can have a huge impact on potential customers. In order to make sure you’re getting as many customers as possible, you need to clean up your online reputation. We have firm response tactics to help improve your online reputation and make sure negative information continues to be suppressed. With search engines constantly changing their algorithms, it can be a struggle keeping negative content suppressed. You may not want to sacrifice time away from your business trying to take content like this off of the top pages, and that’s why we’re here. All of our clients have different types of businesses, but our business is managing online reputation. We will find negative content that has been posted about you online and direct you to them. If you decide to take on our services, we will immediately start working on suppressing these negative articles and posts. We won’t have you sign a long-term contract. 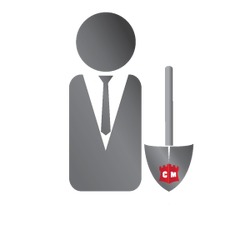 Our services are on a month-to-month basis because every client’s needed differ. After you’re satisfied with the content suppression, you can start monitoring and maintaining. This will ensure negative articles stay suppressed and that you won’t need to do grand suppression in the future. What images come up when you search your company’s name? Hopefully, your logo comes up, as well as some images from your sites. However, we know negative image postings are becoming more and more common. Unflattering, defamatory images can haunt your business’ reputation. We can help you suppress these images so you won’t have to worry about them anymore. Suppression of defamatory and unflattering images on search engines. The creation of several positive images. Control over what images appear on search engines. Increased trust from customers as well as greater levels of professionalism. Remove false and misleading information from Wikipedia pages. Build up positive information about your company. Make sure all information is input positively. Establish trust and credibility through your Wikipedia pages. Give your business control over its online reputation. You may have strong, positive articles on the Internet, but these articles won’t get rid of negative press that can pop up anytime. You never know when bad press can occur, so it’s best to be prepared so these situations can be fixed as soon they come up. Centel Media™ crisis management plan can help you prepare for sudden attacks on your online reputation. Having a plan will prepare you for an online attack. We create tons of positive content for you. As soon as an attack occurs, we put out a flood of positive content. Companies can stay stress free knowing they are prepared. Negative articles can be altered to be positive. Emergency plans are essential to keep your business going strong. When someone types your company’s name into a search engine, you don’t want negative suggestions to pop up. For your business to get as much traffic and customers as possible, nothing negative should be appearing in conjunction to your name. Our autocomplete changer can give you complete control about what autocomplete suggestions pop up when someone searches your company’s name. If you decide use our autocomplete plan, we will make all suggestions positive and ensure they lead to positive links. Create a positive first impression for potential customers, clients, or investors that search you. Link searchers to useful company information FIRST. Conceal unwanted information from autocomplete search queries. Prevent searchers from discovering false or misleading company information. Improve conversions through a better reputation online. With positive autocomplete results, you can lead people to the best searches about your brand. These searches will significantly increase your ability to convert traffic.